Lower Tideford Farm Cottages are owned by Chris and his wife Helen. Just 4 miles from Dartmouth, in a secluded valley surrounded by 30 acres of rolling countryside. 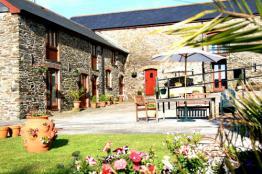 Five cottages are clustered around a courtyard and offer accommodation of a 4 star standard. The cottages are named after local villages and towns. These pictures give you a glimpse of the cottages and if you would like to see more, all the cottages are described in detail including the leisure facilities on our website, which is just a click away at the foot of this page. If you would like to stay with us when you book your fishing holiday, special arrangements can be made for catering. 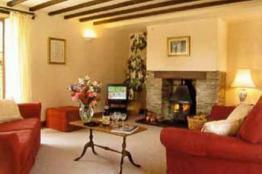 Breakfast and evening meals can be taken in the farmhouse or your cottage. This gives us a good opportunity to talk fishing and make plans for the day or for you to try fly tying in the evening. Casting lessons can be given on grass which is a good way to start. It focuses the attention on the casting and not catching fish. We also have the facility for casting indoors in our barn, if the weather is inappropriate. if you fancy trying the exciting and fast growing sport of saltwater fly fishing for Bass or Pollock, then we are ideally situated close to the coast with access to good marks.